Explore Islam, current events and other issues. Over the years, I have had the pleasure of working with many types of people in the Islamic community, a cross section of ideologies, cultures and sects. I have taught classes with them, represented them in the media and learned about them, from them. When someone opens themselves up to learning about others, understanding comes, fears subside and stereotyping dissipates. One of the divisive ideological topics among Muslims is that between those with an agenda to malign the Saudi Kingdom and their brand of Islam dominant on the Arabian Penninsula by labelling Salafis ‘Wahhabi’. Interestingly, it is also a term propagated by anti-Islam haters to describe all of us Muslims. I will explain how the term is misleading, divisive, offensive and, yes, even racist in it’s use by Muslims and non-Muslims alike and should not be used. However, before I explain, it is important that anyone who discusses this topic understand the basic history of the Saud’s rise to power and the modern politic. There are a lot of support link references throughout the article for you to study if you really wish to delve into the topic. The purpose of this write up isn’t for the defence of the Salafi movement or the Saudi Kingdom. However, as a Muslim, it is my duty to draw the line where the facts and sound reason exist, to stand firm for justice. Far too often innocent bystanders (and new Muslims) are caught up in a viscous propaganda campaign of hate waged by some Muslim groups and non-Muslim hate groups on this topic. Muhammad ibn Abd al-Wahhab was born and lived in ‘Uyaynah, Arabia from 1703-1792, though he spent many years abroad and taught in Basra, Iraq. He completed his education in Madina. In Iran, 1736 he taught against the ideas of various prominent Sufi leaders. The movement he founded never extended beyond Arabia, save the concepts of Tawheed. Since the sack of Baghdad in 1258 by the Mongols, the Islamic Empire struggled with decline. Europe in the period after the Dark Ages, benefited from educating in Islamic territories and began to increase with technological and cultural innovation. By the 1700’s, it eventually had fully experienced the renaissance and began exporting this cultural innovation back to Islamic lands. Seeing these things as corrupt western innovation (biddah) of religion, Muhammad ibn Abd al-Wahhab began a peaceful (non-violent) revivalist response to the decaying beliefs, morals and Islamic practice in the Arabian Pennisula. He preached the removal polytheism from Islamic society and return to the roots of the Salaf (ancestors). The Salaf movement was mainly concerned with issues of Tawheed (monotheism), shirk (polytheism) and western modern innovative influence among Arab Muslims seen to be the cause of moral decay. Today, the movement views the world in much the same way. In 1744 Muhammad bin Saud sought to use his immense military forces to found the first Saudi state but didn’t have the influence he desired among all of the people to secure his rule. Muhammad ibn Abd al-Wahhab was well known among these same Arabian tribes for his revivalist work. The two movements officially allied. Muhammad bin Saud married his son with Muhammad ibn Abd al-Wahhab’s daughter to seal the deal. Under the new Saudi state, Muhammad bin Saud was to be charged with political and economic affairs. Muhammad ibn Abd al-Wahhab was in charge of religious affairs. The alliance became strong as the Saud’s conquered much of the Arabian peninsula. Religious enforcement (sometimes religious violence) was sanctioned and backed by the government of the newly formed state. To bolster Muhammad bin Saud’s forces, Muhammad ibn Abd al-Wahhab began to use his influence as a religious leader to recruit people to join the military for deployment in battlefield jihad on behalf of the state. The mix of fundamental revivalist teaching coupled with strict state sanctioned enforcement lends outsiders to have the ‘illusion’ of orthodoxy in Islam where Salafis are concerned. The madhab (school of thought) dominant in Saudi Arabia where Salafi movement originates is Hanbali. There are many schools of thought in Islam and thus there is no ‘orthodoxy‘ in Islam. Salafi groups generally do not partake in protests or even the political process, considering it a sin. They believe in obedience to government and are generally peaceable. Such an idea may work well in a monarchy, like the Kingdom of Saudi Arabia. However, as with any group there are varying degrees of those (a minority) who grow disillusioned with pacificity and become militant within the same ideology. Militant groups in all movements often go to the extent of replacing reputable established Islamic jurists with their own leaders in order to pronounce takfir (declaring disbelievers) on other Muslims to sanction and attack them for not acting on the same ‘triggers’ deemed legitimate by the group. Duality is human nature and within individuals or groups the reversal of moral value or opinion can happen for many reasons and often has triggers. It is not an event that is specific to the Salafi movement or Islam and happens all over the world (Example). Attempts are often made to say that the Salafi movement is the ‘exporter’ of extremist ideology because groups like ISIS are ‘Salafist’, but the facts to not support the idea of such sinister ideological ‘export’. The spread of terrorism misusing the Salafist ideology is incidental. ISIS is not the only terrorist group in the world. There is no evidence to support that all terrorist movements are ‘Salafist’ and most of these terrorist movements engage in acts that contravene the teachings of the movements from which they came. The root cause for the current terrorism crisis is simmering political instability caused by United States foreign policies that began in the 1980’s. To advance the interests of the United States to fight communism, the US secured an agreement with the Saudi Arabian government (in coordination with Pakistan, Egypt and Israel) to drive the communist Soviet Union from Afghanistan by funding, arming and training extremist groups with US taxpayer money and resources. The problem was made worse by Operation Desert Storm in 1990 and subsequent 12 years of sanctions that reduced a middle class nation (Iraq) to one of the poorest in the world. These same CIA funded and equipped jihadist assets based in Afghanistan became disillusioned with US foreign policy later went on to attack the United States on September 11, 2001. The problem of global terrorism metastasised after the destabilisation of Iraq in Operation Iraqi Freedom in 2003 and continues to grow with US foreign policies that include endless bombing campaigns, attempts at nation building and interventions across the Middle East, Asia, Europe and North Africa. Today’s middle east crisis with ISIS is born directly out of political instability created by the United States invasion of Iraq, the attempt to ‘de-Baathify’ the Iraqi civil and military services leaving hundreds of thousands of Sunnis formerly loyal to Saddam Hussein without a job and removing the only security apparatus from the nation. The United States established a Shi’a led Iraqi government that marginalised Sunni groups. Al Qaida Iraq chose to capitalise on this and in 2006 is renamed Islamic State of Iraq. The group has re-branded itself many times since (ISIS/ISIL/IS; all the same group). If countries are not stable, there is either no security apparatus or it is too weak to be effective. Lawlessness becomes the norm. Misuse of religion, iconography and ideology is commonplace in unstable or lawless countries. (Examples 1, 2) In fact, a large number of the recruits of these criminal enterprises or gangs also have criminal histories. The most notable global misuses of religion in human history has been the pogroms, Crusades and Inquisitions inflicted on the world by Christendom. The Council of Senior Scholars of Saudi Arabia have issued a ruling against terrorism and groups like ISIS, irrespective of the political establishment’s support for using them in the proxy war to confront Iranian influence in the region. It’s also worth noting that in political foreign affairs that most governments have employed or supported terrorist groups to achieve their goals. In the case of the United States, examples range from the jihadist groups fighting ‘godless’ Soviet communism to the Bay of Pigs disaster to even funnelling arms and money to Al Nusra front in Syria (an Al Qaida affiliate). The current regional proxy war between Saudi Arabia (supporting groups like ISIS against Iran) and Iran (Hezbollah & Revolutionary guards against the Saudi Kingdom), should be seen with these facts in mind as we try to make sense and solve the crisis of terrorism. If one condemns one nations terrorism, we must face the fact and condemn our own nation’s terrorism equally. The coordinated efforts by the United States, Israel, Pakistan and Saudi Arabia (circa 1978) to fund, arm and train these extremist groups to fight Soviet communism gave the initial credibility and rise to jihadist groups that we despise, like Al Qaida and ISIS. The problem of terrorism (a tactic of war) lies primarily with government entities, not Islam or any one Islamic movement. Now that we have waded though the politic and how Islamic movements have been distorted and misused for political gain of both Muslim and non-Muslim governments, let’s go on to draw the lines where they belong. Taymiyyan? – The Salafi do not follow Muhammad ibn Abd al-Wahhab. They rarely make mention of any of his teachings instead referencing various hadith from common sources (Bukhari, Muslim, Ibn Majah, Thirmidhi, etc). In fact, if one is lucky they may just find a biography of his life in a bookstore where Salafis patronise. Of the four Islamic schools of thought their madthab is Hanbali. Why are they not named after the madhab, Hanbalian? The Salafi rely on a host of scholarly opinions but orientalist scholars claim that they rely more heavily on Ibn Taymiyyah. If they reference Ibn Taymiyyah extensively and rarely if ever (I’ve never heard one in my 21 years as a Muslim) reference Muhammad ibn Abd al-Wahhab, how can they be ‘Wahhabi’? Why not ‘Taymiyyan‘? Follow Muhammad (PBUH) – Salafi never call themselves Wahhabi. In fact, it is considered a derogatory designed to malign their movement by making the false claim that their movement is synonymous with terrorism (much like Islam-haters do to all Muslims). Like any other Muslim with our pet ideologies or favourite movement, they are followers of the Prophet Muhammad (pbuh). Consequently, this is the same logic that is used by the Islam hate industry to slander all Muslims. Islam-hate – It is a term also used by many non-Muslims to promote anti-Islam agendas. The term ‘Wahhabi’ means different things to different people. It means nothing (other than slander) to the Salafi because they don’t follow Wahhab. It is misapplied to them by other Muslims. It is a term applied by media pundits at times to identify terrorism. It is applied to all Muslims by the Islam-hate industry. The term is the source of confusion and hatred used not against just Salafi, but all Muslims be one Sunni, Sufi, Shi’a, liberal or conservative, whatever your persuasion. 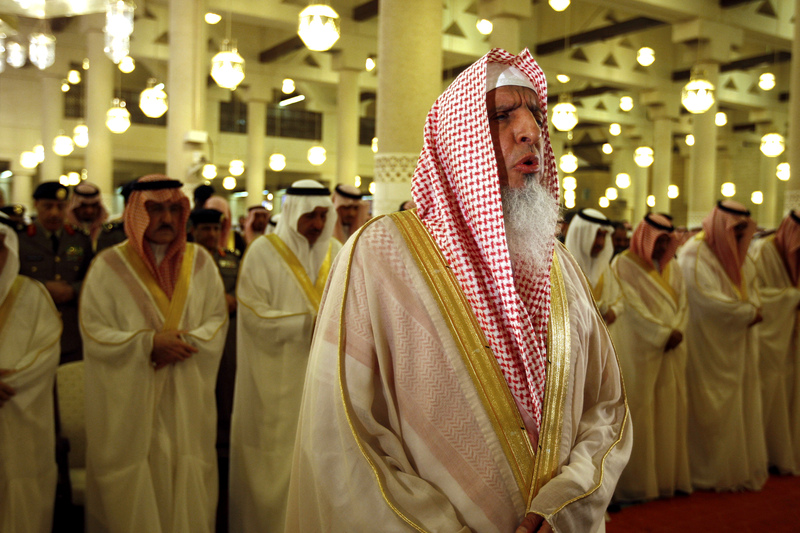 Sectarianism – Muslim political and religious opponents (like some Sufi, Shi’a, even fellow Sunnis and others) intentionally mislabel Salafi as ‘Wahhabi’. It is commonplace among those opposing Muslim groups with an agenda to stereotype and malign both the militant and the pacifist among the Salafi, Saudi citizens or Arabs in general, painting them with a broad brush as the monolithic ideological source of all that is evil in the world (convenient for those swayed by alternate religious or national agendas). It also is used by some Muslim groups with an agenda to disqualify, dehumanise and demonise a fellow group of Muslims through labelling them extremists and spread unjustified fear and abhorrence for them. The fact is that we have already discussed the factors that brought extremist groups into existence and gave them credibility, no one group is the source of all evil. Muslim groups are being played in a game of divide and conquer by corrupt governments (Muslim and not) to advance their own interests. Just plain stupid – In it’s mislabelling, the efforts of these Muslim opponents to keep people away from the teaching of the Salafi are made futile. As people become familiar with the slanderous label and then enter the mosque or community center there is no one there that calls him/herself ‘wahhabi’, but you will find people that refer to themselves as Salafi or following the Salaf. So, mislabelling may seem like semantics but all it does (besides the obvious slander and misleading people) is keep people from recognising them in the mosque. So, if one seriously fears their ideology so much to want to preach to people against them, why not want them identified by their proper name? Again, a no-brainer here. Racism – There is a conglomerate of groups that engage in this type of smear campaign. Western media and pundits, Islam-haters and even other Muslims who are using the term ‘Wahhabi’ are using the term to identify a particular type of extremism (or terrorism) that they oppose. Yet, there are no ‘Wahhabi’. Instead what they are tacitly referring to without being forthright is ‘all Salafi’ or ‘all Saudis’ or in some cases ‘all Arabs’ and even in the case of non-Muslim Islam-haters who use the term: all practising Muslims. Racism isn’t merely maligning someone based on ethnicity. It is a legacy construct of colonialism, which places value on European civilisations over that of the occupied ‘savage’ colonies. The implication being an ‘us versus them’ attitude where all of ‘them’ are savages worthy of hatred, pogroms, or civilising campaigns based on ‘their’ grouping. By the same token, these former colonies have began using these ‘superior’ attitudes against others based on ethnicity, nationality, madhab, religion, etc. It is an attitude of ‘supremacy’ once particular to colonial Europe (that still exists among White Supremacists today) which has been learned by the colonised who are using it against each other, in this case the mythical demon named the ‘Wahhabi’. Racism is also not always expressed in explicit terms, but tacit. Racism may also entirely cast aside ethic markers. This is known as ‘cultural racism‘. There are many groups of Muslims and western non-Muslims that use the term ‘Wahhabi’ in the derogatory sense to imply ‘all Arabs’ or ‘all Saudis’ are extremists. Recently, I experienced a group on Facebook led by a Singaporean-Malay Sufi who will go unnamed. The 7000 member strong facebook group, called Sharing Group, has a stated goal to ‘help new convert Muslims and old Muslims rediscovering their faith‘. In reality the group was mostly a cross section of ‘Asian’ (Malay or Malay-Chinese Muslims) Muslims who reside in or near Singapore who had repeated threads about the evil ‘Wahhabi’ and how to defeat them. The discussions rapidly descended into hate speech against Arabs. When prodded what was meant by some of the anti-arab statements, one of the members (again unnamed) joked, “All Arabs are killing machines”. I reasoned with him that mislabelling them and grouping all of them together coupled with making a statement like that is what leads to hate speech against peaceful ‘Salafi’ (fellow Muslims) and it does no practical good to mislabel them. Needless to say he didn’t take that well, sent me a message cursing at me, accusing me of calling him a hater and calling on the admin in the group to try to get me banned. In the spate of a few hours of this discussion followed by this “Sharing Group” member’s threats to get me banned, I willingly left the group. The point is that the entire group was whipped up into a frenzy of ‘us versus them’ to the point that no one could reason and it didn’t take long. It was a flash response to challenging the social norm of anti-Arab (Muslim on Muslim) hate. If I were to believe their psychological projection onto the Salafi, it would be something I might have expected from these so-called ‘intolerant’ people they hated. It was no longer a forum of learning but a forum of anti-arab hate speech. Stereotyping, educating new Muslims (their stated goal), teaching them not to paint people with a broad brush of blind hatred, giving reasons to objection to the Salafi movement, didn’t matter. Anyone who questioned their blind stereotyping was a threat and needed to be cursed at and strong armed into silence. What mattered more was that they are Malay and they don’t like Arabs, our Islam is more valuable and valid while someone else’s is not. It is ‘us versus them‘. It’s the same thing Muslims often are seen complaining about when non-Muslims stereotype Islam, but on a micro level. I suspect in addition to ethnicity, religious persuasion played an ‘us versus them‘ role in this hateful response also. “The Messenger of Allah said, “Four are the qualities which, when found in a person, make him a sheer hypocrite, and one who possesses one of them, possesses one characteristic of hypocrisy until he abandons it. These are: When he is entrusted with something, he betrays trust; when he speaks, he lies; when he promises, he acts treacherously; and when he argues, he behaves in a very imprudent, insulting manner.“” [Al-Bukhari and Muslim]. Bottom line is that it doesn’t solve the problem of extremism to mislabel Salafi (or anyone) ‘Wahhabi’. Most Salafi, most Muslims, are peaceful. Extremist militants do exist among them but extremist militants have existed among Jamaat-e-Islami, Iqwan, Sufi, Shi’a, etc. and in all other non-Muslim faiths, even Buddhism. In all cases, most people (Muslims and those of the Salafi movement included) value peace and security and militants are very much a small minority. Triggers and variations in these groups and their numbers often are relative to the politics in the region or globe and governments asserting their interests. It’s okay to to disagree with how Muhammad ibn Abd al-Wahhab did things, to criticise the Salafi or their scholars, to criticise how the Kingdom of Saudi Arabia does things, to think they have an ideological problem that needs fixing or to have fundamental disagreements between each other, but maligning others by calling them by false names is unbecoming of a Muslim and fraught with error. Instead, our language should be precise and accurate. Reasonable discussion, intellectual education and debate needs to happen for any of us to benefit or solve the problems that plague our global community. The term ‘Wahhabi’ is a manufactured-from-history and inaccurate name created by people with the intent to malign. It is incoherent, divisive and slanderous. If one is a Muslim and sincere in their faith, they should ask themselves if this is the kind of thing Allah would want us to be doing. I suspect, He wouldn’t.